Xiaomi’s Octa-core masterpiece which has great potential & quality that it can run the most latest Android OS without any issues. But because of Xiaomi’s poor device update service, I doubt it will receive Android Marshmallow update. However, Xiaomi has promised Marshmallow update for Redmi Note 3 as its their Flagship device of 2016. But what till then? Even if Xiaomi releases Android M, initial build might be buggy or you might want to shift to AOSP UI. 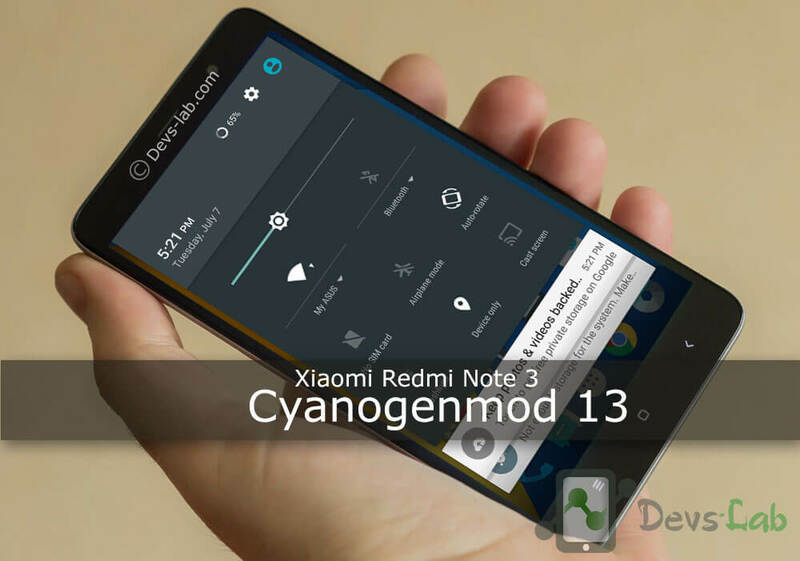 Thanks to the developers, we can now use Cyanogenmod 13 (CM 13) in Xiaomi Redmi Note 3. Although this ROM cannot be used as daily driver; but you can experience Marshmallow in your Redmi Note 3. So without wasting much time, lets get started with updating Redmi Note 3 to Android Marshmallow (6.0.1). Device charged upto 50% to avoid shutdown during the flashing process. Note: Devs-Lab won’t be held responsible for anything happening to your device during this process as you have decided to make this modifications. This ROM is only for Xiaomi Redmi Note 3 (Snapdragon) variant. Don’t install in any other variant. If you are new to Rooting, you must refer to Complete guide about Rooting. After this process, your warranty will be void & in most cases, you won’t be able to get it back. Step 4: Now its time to flash CM 13 in Xiaomi Redmi Note 3. But before doing that, go to Wipe (in TWRP Recovery) & select cache, system (Select system only if you are coming from other ROMs), data dalvik cache. Swipe to confirm wiping. Step 5: Go to TWRP Homescreen & click on Install. Select the CM 13 ROM for Xiaomi Redmi Note 3 zip from the list of files. Swipe to confirm flashing. This might take around 5mins.